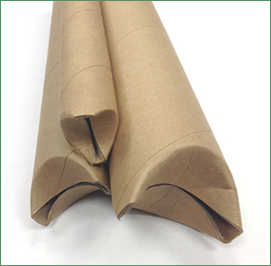 4" x 30" Crimped-End Kraft Tubes | Chicago MailingTube Co. Your local stationary store may have its fair share of boxes and envelopes for you to choose from, but sometimes your business needs something a bit sturdier to store or mail your important documents. For times like these, Chicago Mailing Tube Co. is your premier mailing tube manufacturer. We've been around since 1902 and are masters of our business. 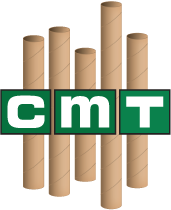 We deal in paper tubes, cores, and mailing tubes, and have always been evolving to meet new customer and business needs. Today, we offer production capabilities available nowhere else and can efficiently ship our products nationwide. We even use 100% recycled paper to avoid negatively impacting the environment. Our self-locking kraft tubes are ideal for any situation in which you want to keep your posters or blueprints completely safe and secure. Our mailing tubes come in a variety of sizes, including 4" x 30" self locking kraft tubes, and 4" x 30" crimped-end kraft tubes. Whatever your mailing tube needs, Chicago Mailing Tube Co. will work with you so that you receive your order on time and to your exact specifications. The convenience of crimped-end craft tubes lies in the fact that they require no other products to be fully effective. Simply pinch and fold the ends together and your important papers are safe-no tape, cap, or plug required. This convenience can increase productivity if used in an industrial setting. Or maybe you just want a mailing tube that you can use often, and not have to worry about becoming bent or flattened. Our self-locking kraft tubes are sturdy enough to protect even your most important documents, and they are even reusable. If you think your business or organization could benefit from our mailing tubes, call (312) 243-6050 or visit our contact page and fill in the requested information. We will quickly respond to any and all inquiries and requests for quotes.